Happy New Year one and all! We’ve all managed to survive the armageddon and hopefully survived the welcoming in of 2013 last night. So now you have just one question on your lips about the year ahead right? What are the best films of 2013! No? You’re telling me you want to know if you’ll get that promotion / girl / boy / revenge? Well, I’m afraid I’m just going to answer the query about some of the biggest films to come in 2013. Last week we had a retrospective look back at 2012 with the 1st Annual Phagee Awards and now, like Janus – the namesake of January, we’re going to look forward to what’s to come. So I’ve picked thirteen films for 2013 that should be on your radar. Whilst I hope they’re all going to be hits… I can guarantee they’ll be an interesting watch, for better – or worse. Yes, Bruce Willis will once again be donning a dirty vest and reprising his role as the unluckiest man in the world: John McClane. We cannot wait for this film. 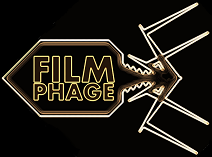 Film Phage are massive fans of the others in the franchise, so we’re eager to see what happens in the fifth. Sure, Die Hard 4 can’t hold a candle to Die Hard: With A Vengeance, but it was still great fun and we’re hoping for more of the same. The only worry? Having John McClane Jr. (aka Jack McClane, aka Jai Courtney) running around with him. Whilst we’re sure Courtney will do an admirable job… we still wish it was Tom Hardy in that role. We can dream right? This one’s coming in low and hard, because I don’t think many people even know that Danny Boyle‘s latest film will be hitting cinemas in the Spring. This is the guy that brought you Trainspotting, 28 Days Later, Slumdog Millionaire and 127 Hours to name but four of his eclectic movies. Whilst he’s not released too many details, we know it has James McAvoy at its lead and deals with art, ripping off gangsters and hypnosis, which leads to a reality-bending story where you don’t know what’s real from what’s resulting from the trance. It all sounds ludicrously trippy and we’re looking forward to having our minds warped. Whilst nerdy gamers worldwide may be rejoicing in the premise of a live action retelling of the Oblivion video game, that’s not the case. No, this is a post-apocalyptic film starring Tom Cruise and Morgan Freeman. Whilst Cruise has been known to produce a dud once every so often, he’s a pretty bankable actor and only commits to promising films. This film puts Cruise as an engineer who returns to a war-ravaged Earth (we’ve been at war with aliens) and discovers a secret that turns the whole war on its head. Sure, Cruise has dabbled with aliens in the less-than-well-received War of the Worlds, but we’re excited by this. It has great potential. Don’t tell me you couldn’t see this making my list? We’re massive Marvel fans at Film Phage and can’t wait for Robert Downey Jr. to don the red and yellow suit once more. Whilst it’s great to have Sir Ben Kingsley as a menacing Mandarin, we’re also very curious about Guy Pearce‘s role. If it’s true to the Extremis comic-book storyline then his character should have a nice meaty role. Pearce has impressed us in 2012 with his slimey performance in Lawless and we couldn’t help but like him in Lockout too. This could potentially be Downey Jr.‘s last outing as Iron Man in his own dedicated film, so we’re hoping that if it is – he goes out with a bang! We also get this a week before the US… which makes it even better. The Hangover was a breath of fresh air for the comedy film world. It was rude, bombastic and totally absurd… it was great. So when Part II reared its head in 2011… well, we were all a bit disappointed. It was near enough a copy-and-paste of its predecessor. However, The Hangover Part III is promising to turn the concept on its head, with the guys (Bradley Cooper and Ed Helms) coming to the aid of Zach Galifianakis‘ Alan. At least, that’s what the rumours are indicating… we’ll see for sure come May. When Will Smith releases a film, the world raises its head and takes notice. He, like Cruise, has released some dud movies, but he’s another incredibly bankable actor and generally has a fantastic number of releases under his belt. In After Earth we see him reunited on-screen with his son Jaden Smith, which is great… but isn’t the reason we’re excited about this. The film also marks the return of M. Night Shyamalan to the director’s chair some 3 years after the disaster that was The Last Airbender. All we really know is that it sees Big Willy crash land on a planet that’s not been inhabited by humans for 1000 years. We just hope that “the twist” isn’t that he’s time travelled and this IS Earth… A bit like Planet of the Apes, but without the damn dirty apes. Although Batman’s done and dusted, Christopher Nolan‘s dabbling with the DC superheroes isn’t over. With Zack Snyder in the director’s chair, and Nolan as producer, we see the return of Superman. Whilst the trailers have been suitably vague, we’re excited to see what they’ll do with this franchise. Could it be the next Green Lantern, or will he be the new Dark Knight… or a Light Knight. With laser eyes, who can fly… and spin the world backwards. How they manage to ground such a ludicrously powerful hero will be interesting. Because as we know, all Hollywood cares about nowadays is making heroes “gritty” and “realistic”. We’ve high hopes for Henry Cavill though – he certainly looks the part, and with the main villain touted as Zod (another superpowered guy), we’re expecting fireworks. This could be fantastic… but it could also be awful… This film worries us and excites us in equal measures. I’m a massive fan of Max Brooks’ original book by the same name. It’s utterly fantastic. But the Brad Pitt-led film deviates heavily from the concept of the book (an oral retelling of a war against a plague that turns people into zombies – told by the survivors). Instead, this film opts to follow Pitt -who works for the UN, during an onslaught in Pittsburgh. The trailer looks a bit of a mess, with the zombies somehow forming a tidal wave – they move like a liquid. An odd choice. I’d rather we saw the runners from 28 Days Later… but we’ll see how this turns out. We’re curious, to say the least. Finally we get the follow up to 2001’s Monsters Inc., which is one of my favourite animated movies. We’re hoping that Monsters University goes beyond what was done back then and creates a truly funny and imaginative film. The original gang is back, so we can look forward to seeing Sully (John Goodman) and Mike Wazowski (Billy Crystal) in their University of Fear days. We know that they weren’t necessarily friends back then, so it’ll be an interesting plot. Let’s just hope the sequel / prequel is at least as good as the original so that it doesn’t sully (ha – that’s his name!) what was a great original film. This is probably our most anticipated film on the list. Why? Because we’re seeing Neil Blomkamp returning as the writer and director. Who’s he? Only the guy behind District 9 – one of our favourite films. We’re still waiting on District 10 though – get on it Neil – we want to know what happened to Wikus! Why else should this be great? 1) the actors: Matt Damon, Jodie Foster and Sharlto Copley, 2) the story: rich folks live on a spacecraft, poor folks live on the wrecked Earth… and Matt Damon‘s going to equalise it! We’re very, very excited. 2005’s Sin City was a beautiful piece of cinema. In every sense. It was pulpy, gritty and looked sublime. It was Robert Rodriguez at his best, adapting a great Max Miller story. Can he do it twice? Well we’ve got a hell of a lot of the cast back for events that are set just before the original film. That means Mickey Rourke, Jessica Alba, Michael Madsen, Clive Owen etc. It’s a shame Bruce Willis doesn’t figure in this story, as his character was great. But hey – if we’ve got more of Mickey Rourke‘s Marv back up there smashing things, then we’re happy. It also features some bizarre cameos… Lady Gaga anyone? Rounding out our list of the thirteen most anticipated films is everyone’s favourite Norse God: Thor. Yes, Chris Hemsworth will be back at his ripped best and fighting a new evil… one that isn’t just Tom Hiddleston‘s Loki again! Hurrah! This time we’ll see him squaring off against Christopher Eccleston‘s Malekith in what should be a refreshing new angle – not all God vs. God again, or Thor landing on Earth in the middle of nowhere doing his best impression of Crocodile Dundee… minus “y’call that a knife?” routine. Oh, and again… UK beats the US release by one week. We may have lost the battle for Wreck-It Ralph, but we’ve not lost the war yet my friends. And that’s it – just a selection of thirteen of our picks of films to watch in 2013. We’ve not even touched on the new Fast & The Furious movie, which again has Dwayne Johnson in it, so it should be pretty good. Then there’s Gangster Squad, the eventual release of Wreck-It Ralph, and Spielberg‘s Robopocalypse. But hey – it’s thirteen films for 2013… I’ll do more films next year. Probably fourteen. If the world doesn’t end this year either. This entry was posted in Feature and tagged 2013, 2013 Preview, A Good Day To Die Hard, After Earth, Best of 2013, Brad Pitt, Christopher Nolan, Danny Boyle, Die Hard 5, Elysium, film preview, Hugh Jackman, Iron Man 3, Man of Steel, Monsters University, Oblivion, Sin City 2, Sin City: A Dame To Kill For, Superman, The Hangover Part 3, The Wolverine, Thor 2, Thor: The Dark World, Tom Cruise, Trance, Will Smith, World War Z. Bookmark the permalink.